Outstanding build quality, heavy and solid, plywood cabinets with nice veneer. Sound is impressive, very revealing, and can create huge volume with 120 watts a side. 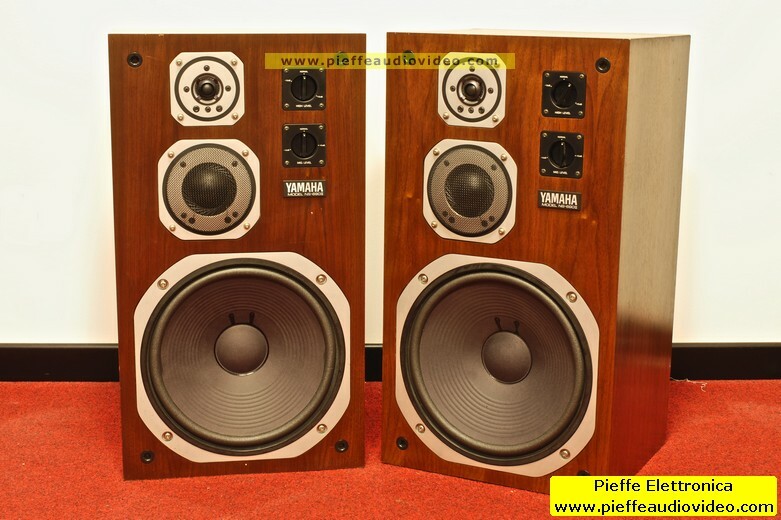 These speakers are the flagship from Yamaha during 70's, they are in good condition and come with grills. The cabinet is made of the same material they used for their pianos, and every single driver is designed and made by Yamaha. The NS690 is similar to the NS1000 in terms of performance. Each speaker weighs 60 lbs.